Diamond and sapphire triple cluster ring. 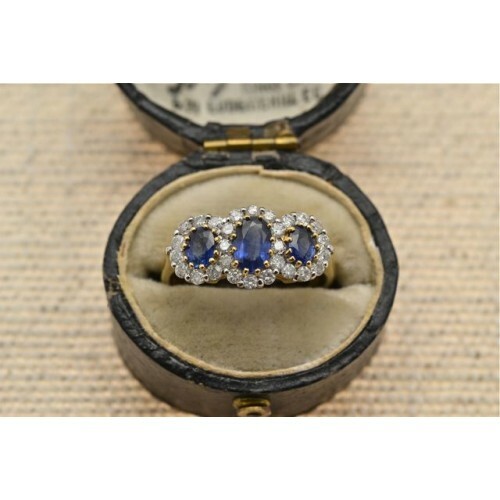 18ct yellow gold set sapphire and diamond triple cluster, having three oval shaped ceylonese blue sapphires surrounded by twenty-eight brilliant cut diamonds. All claw set.